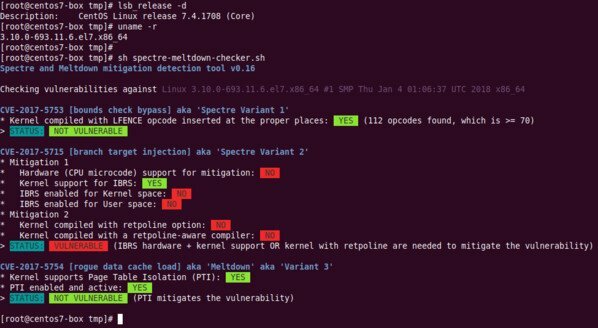 How do I check if my Linux server is still vulnerable to Spectre and Meltdown CPU bugs? CVE-2017-5753: bounds check bypass (Spectre Variant 1). You need to recompile software and kernel with a modified compiler that introduces the LFENCE opcode at the proper positions in the resulting code. The performance impact of the mitigation is negligible. CVE-2017-5715: branch target injection (Spectre Variant 2). The performance impact of the mitigation depending on your CPU. CVE-2017-5754: rogue data cache load (Meltdown). You must install updated kernel version with PTI/KPTI patches. Updating the kernel is enough. The performance impact of the mitigation is low to medium. 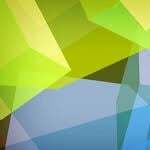 Receiving objects: 100% (155/155), 49.78 KiB | 145.00 KiB/s, done. Cloning into 'spectre-meltdown-checker'... remote: Counting objects: 155, done. remote: Compressing objects: 100% (20/20), done. remote: Total 155 (delta 18), reused 21 (delta 10), pack-reused 125 Receiving objects: 100% (155/155), 49.78 KiB | 145.00 KiB/s, done. Resolving deltas: 100% (88/88), done. 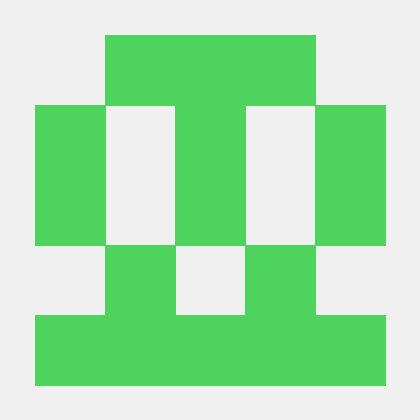 For more info see the official github page here. Just a simple shell script parsing the kernel for relevant bits. Works nicely. Do you know, if there is a solution, which does NOT require root access? Sorry. I am not aware of it. This doesn’t seem to work on any centos box I have built on top of VMWARE..
And nothing… beside the status line. This is centos 7 minimal, fully patched. Seems like you are patched your system. Make sure VMWare is patched too. Interesting.. the code doesn’t show the whole NOT VULNERABLE message on my screen.. but it obviously cut and pasted it in here. kernel 4.10 hwe is not taken care as of now. Hi vivek and thanks for the post. 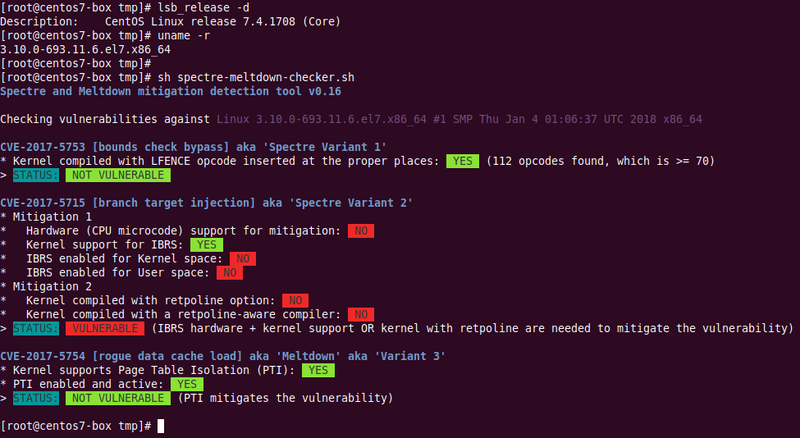 I have patched and tested my centos 6 install and am seeing similar output to your centos 7 grab in post, basically that the spectre variant 2 is vulnerable. Is this as expected at this stage with centos? Should we expect more patches? yes more patches and microcode update from Intel will hit within next 2-4 weeks. It might take longer. Basically you must install all those updates when released for your distro. Does this check whether your *hardware* is vulnerable to the bugs in the first place, or simply whether your kernel has been patched? This script reports “your CPU vendor reported your CPU model as not vulnerable” if CPU Part and CPU Architecture aren’t present in /proc/cpuinfo, as I’m seeing with OEL 6 at least. this doesn’t seem to work on i386 kernels, at least for Ubuntu 16.04. returns false positive saying NOT VULNERABLE for Variant 1 even though kernel was compiled in July. unless i386 is not vulnerable to Meltdown/Spectre..?